Star Trek has a long history of exploring strange new worlds, seeking out new life and new civilizations, and boldly going where no man has gone before. Our game, Star Trek Online, has grown on PC over the past six years, but it’s time for us to explore another frontier: PS4. 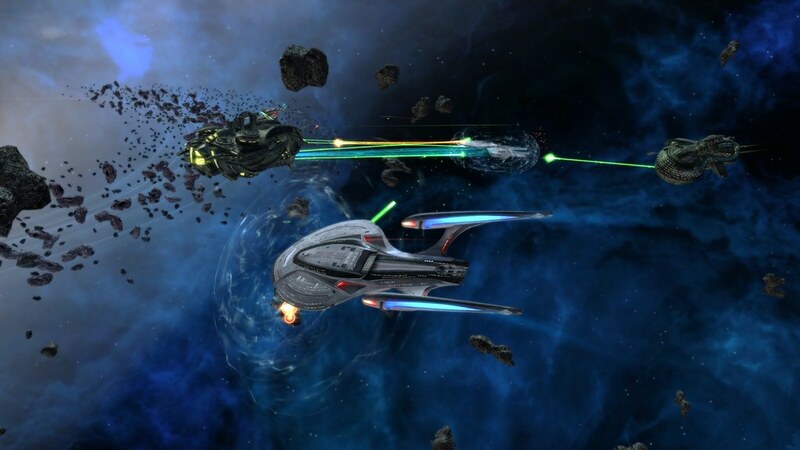 We are happy to announce that this fall, Star Trek Online will be launching on PS4. 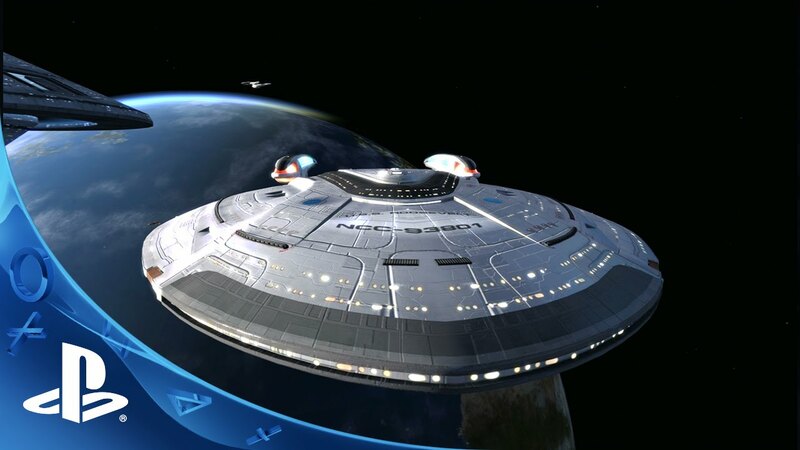 Our goal is to deliver the same high quality Star Trek experience to players on PlayStation, with some additional upgrades to make the transition a smooth and natural experience. 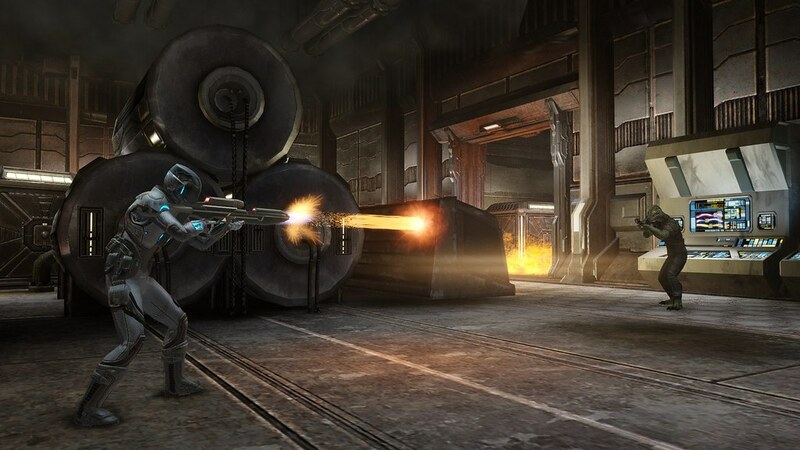 For those unfamiliar with Star Trek Online, we are a free-to-play MMORPG based on the Star Trek franchise offering players the opportunity to create their own captain and explore the galaxy as they play through countless hours of content. Over the past six years of development we have created more than 130 featured episodes (similar to the TV series episodes) that star some of the cast members of the Star Trek series including Michael Dorn, Jeri Ryan, Tim Russ, and more. Star Trek Online will also be one of the first free-to-play MMORPGs to offer both space and ground combat as you fly through the galaxy in hundreds of iconic ships. Your captain and crew can pilot everything from the classic Enterprise to a Klingon Bird-of-Prey or Romulan Warbird. From cruisers and escorts to science vessels and dreadnoughts, you’ll be able to experience the final frontier on your own terms. We’re also bringing several enhancements to the PS4 version. Our first major task was to convert a PC game that takes nearly an entire keyboard to play into a game that plays well with a DualShock 4. We focused on getting the controls right before we began work in earnest on this project, because we knew the game had to be as tactical, fun, and accessible as the PC game that preceded it. A combination of radial menus and streamlining HUD elements created a game that is easily understood, instantly accessible, and incredibly fun to play. Next up, we invested heavily in our engine and added several modern lighting technologies that significantly improved the visual quality of the game. Deferred lighting, light probes, and improvements to our High Dynamic Range lighting system combine to provide more realistic lighting that feels like a true refresh to the game. Alongside the lighting system, we decided the entire UI needed not only a complete graphical overhaul but to have its entire backend rewritten. The goal here was to create a UI that was incredibly streamlined on the backend to ensure the best game performance possible, while also creating a brand new experience built for DualShock 4. We’re really proud of how this looks and how well it performs, and I’m excited for everyone to see it in action. Are the servers going to be shared with the PC version or are we starting fresh on the PS4? Also wondering if this will be cross-platform (a la FF11+14) or if it’ll be separate (like D3). I’ve got an old STO account I’d be down to dust off, but I’m not sure I’d want to start over again. 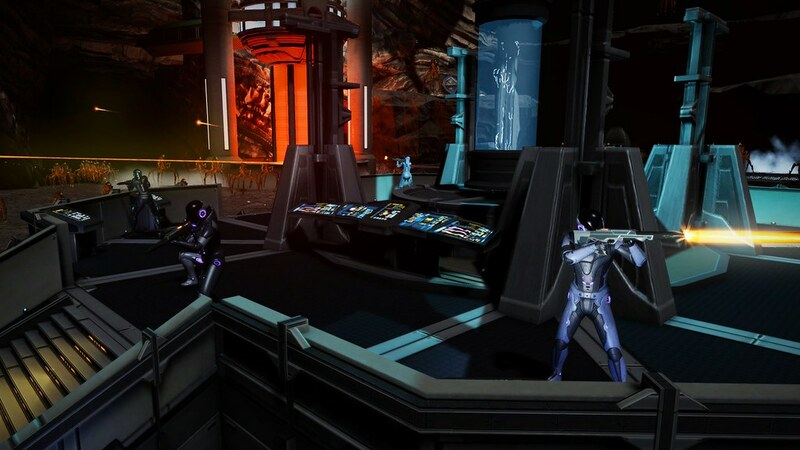 The PlayStation 4 version of Star Trek Online will play on a different server than the current PC version, so all PlayStation captains will be starting fresh. Ricossa commented on other post saying that the vets who are interested in the PS4 version would not be able to port over characters from the PC version. Will I be able to transfer my characters from the PC version? Will user created missions exist on PS4? The PlayStation 4 version will not allow character transfers to the PC version. As we are running a completely new server for PlayStation 4, we want to make sure that all players are able to have equal footing when we launch later this year. looks beautiful but there is really no reason for me to get the PS4 version if i cant take my toon; starting on a fresh footing is good and all but only for those who have not really played this game. after investing so much time and money into my PC main i have zero desire in starting over. looking at subbreddits on this topic there is a similar general consensus too. a compromise would be to allow a onetime transfer…might want to think about that Perfect World. Yeah pretty much. I’m not willing in the least to put real money a second time into the same game for the same things I’ve already bought. Not even gonna bother. Sure you can grind out the dil but that much grinding to do what I can already do on the pc just isn’t a fun prospect. Especially considering how long it takes to grind when starting fresh. I was really excited by this idea and part of me understands. But the free to play model encourages spending of money. It would be great if I had never ground out on the pc first. Sweet! I’ll definitely give this a look! I had a blast in this game on PC, will definitely give it a try on PS4 ! Can we still play with a keyboard/mouse if we have one hooked up to our PS4? Just a guess, but I’d think the new interface wouldn’t lend itself well to mouse/keyboard play, much how the console version of Diablo 3 was redesigned superbly to be played with a controller. That said, I don’t see what would necessarily stop them from including a toggle to switch to PC style input if they so chose. @MisterAxle – FFXIV allows the game to be played with either a DS4 or a mouse/keyboard. You just switch between the two in settings and it’s seamless. They could do the same for this game too. To allow both. Optimizing this must be a nightmare. If the servers are fresh I might give this a try. I remember playing in the CB on PC all those years ago but I didn’t like it back then. This game was announced to come out on the PS3 also, so I’ll believe it when I see it. Super excited for this. I played on PC for a while but I much prefer console gaming. I’m all-in on this one! Holy GOD!! This Trekker is so excited for this release. Really looking forward to Star Trek Beyond as well. I don’t game on the PC but have always been jealous of Star Trek Online and now I get to play it! What a great day! Is this going to be a PS4K Neo release? Probably can’t announce/answer that before June but I have to try. I have said it a million times so what’s one more, the power and X86 architecture of the PS4 is making all of these PC to PS4 ports possible! What an exciting time to be a Playstation gamer! Thank you so much for all your hard work in bringing STO to the PS4. Ironically the power of the pc isn’t really used well in STO. I have a pretty nice setup and a friend of mine who has a much lower system has an easier time running this game. There are lots of issues. It’s one of the lower requirement games I play on pc and runs the worst on my system. I can run any game in ultra settings but with this one I have to turn a lot of features off. Especially on the ground combat. That’s where things get really bad. Space not so much, it runs fairly smooth for the most part. I love star trek but for a MMO i wish it was starwars as that game has improved at a insane rate and is tweaked perfectly for playing story driven by your self or grouping it sems to be the only game from WOW to star trek that listens 100% to us players , it just feels like starwars has stepped up were i find playing star trek is fun but it feels generic and like it has never really improved its just added content. o well its better then nothing so i will see how it plays compared to the PC version i play but its good that a lot of gamers who only own a ps4 will have a chance to play the game because its fun game and definitely worth checking out. Interesting, will check this out when it releases. I do love me some Star Trek. We’ll be releasing later this fall! Our team will announce a release date as we get closer. This looks great! Huge Star Trek fan. Was wondering does anybody know the price of this or should I just assume it will be 59.99 or less lol. I want to know if all my purchases from the PC version will come over. I preordered the game originally at gamestop and got the original series Enterprise as a starter ship (plus classic uniforms). Sweeeeet! My crappy pc could barely run this game. Between the ps2 level graphics and conditions constant lag I couldn’t really get into. Can’t wait til the fall to dive deeper. This is great news, Steve. Thanks for the post. I hope you build the ability to carry over the benefits of my current PC subscription. I absolutely want to continue supporting you and the team with this port, but I don’t want the hassle of two separate accounts. Let me know if you’re working on some kind of user friendly integrated experience for your long-standing, loyal fans. Wonderful news! I have always wanted to play this but never had a PC for it. Day 1 purchase for me! I loved STAR TREK the TV series with Captain Kirk and Spock. This looks intriguing and since it’s free at least to start, it’s certainly worth a try. So. When the game first came out, I had purchased the lifetime subscription. Will my perks/bonuses transfer over at all? I assume not, but better to ask than to assume. Sweet! Been wanting to go back to this but don’t want to play on a PC. Can’t wait! I have a lifetime sub on the PC, will that count on the PS4 version? I’ve been playing for a long time on PC and I’m going to enjoy the hell out of playing in a server set thats fresh. New player economy, no legacy players, everyone starting out fresh I think will be amazing. the PC version has become … stagnant with legacy players and alts. The STO free to play model is actually pretty good. Ships and other things like upgraded inventory can all be bought with real money. However everything is able to be ground out in game if you put the time into it. There is nothing unobtainable without cash. My only concern is the level of grind and coming over from pc. If your a long term pc player the propsect of such heavy grind for buyable items after having already done it isn’t a fun idea at all. However if you like the grind or your starting fresh then the system is fine. I am a bit worried about how it will actually run though since STO has issues on pc. I personally won’t be playing the ps4 version. I don’t have the time to invest into the same game twice, nor do I wish to spend real cash. I have put cash into the pc version which makes the idea even worse for me to do it a second time on ps4 (I have a heavy work schedule and sometimes buying the item is my only real option). However even with the bugs the game itself can be a lot of fun and if it’s your first grind it’s no worse than any other mmo. I like the game and it needs new life since the pc version has become stagnant. As a long time veteran of STO, i am incredibly excited for this. The excited i felt when i visited my bridge for the first time….. cannot wait! what about our current lifetime subscription will that go onto our console accounts? I don’t have a lifetime sub like a few people who have posted, but I have put money into the game already and it would be awesome if it transferred over to the PS4 account. I would play the game a lot more than I already do, which is quite often as it is, and probably put even more money into it. But I don’t think I’d want to lose limited time items such as ships that I have already acquired. But hey, we’ll see. They need to let real money unlocks transfer. End of story. You still have to grind out the levels and builds for the ships you have unlocked, but to go through unlocking ships you already have a second time just isn’t an enjoyable prospect. Not to mention people like me with limited time due to works schedules who have at times had no option but to buy? I’m not spending money on the same thing twice. I’m really excited about this. I am really happy that there will be no PC account transfers allowed. Elder Scrolls Online did that and it was really unfair to all the console players starting fresh. Will we have visible character names or will we have to go by our gamer tags in the game? The problem with no transfer is more about the money and or grind time on buyable ships. These don’t really give a huge advantage as no matter what ship you have you still have to grind out the build for it. Transferring the real money ship unlocks won’t create a huge gap. Since different ship builds require different setups and you still have to pay for respecs having 10 bought ships doesn’t really give you an advantage. Just more options. In reality the only thing a transfer like that would do is give you one ship up on the other players. PVP is broken so that really doesn’t matter. Inventory upgrades and such aren’t really a big deal since you’d be starting over with gear. So grinding that out shouldn’t hurt. The real problem is the time and possibly money spent by pc players for those ships. They are expensive. Very expensive to buy twice. A single ship can cost $30. Now imagine having bought 10 ships. Now do it a second time on ps4. When the ship itself is only one small part of the total to having an end game build (it takes much longer to grind an epic build than to get a ship), giving the pc players a transfer on bought ships doesn’t hurt the game. This is awesome news I am glad you are bringing this awesome game to the PS4. It needs some more really good free to play games. Thank you can’t wait! Here’s something I’ve been curious about since I first read about this. Will my previous purchases through the C-Store / Zen store carry over, or will I be forced to buy everything all over again? I know that Steve Ricossa replied in the comments that “The PlayStation 4 version will not allow character transfers TO the PC version.” The way that was phrased initially caught my attention, as it seemed to suggest that PS4 characters would not be transferable to the PC version, but could possibly be transferrable from the PC. However, later in the same reply he says “we are running a completely new server for PlayStation 4, we want to make sure that all players are able to have equal footing when we launch later this year”. That statement implies that transferring characters either way will not be possible. So I know we wont be able to port our current characters to PS4 but if we already have a pay membership will we able able to access those perks/benefits?